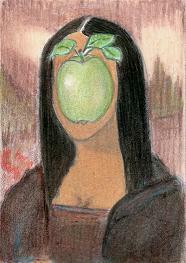 I love Magritte. This is great! This is really different. I like it! Lol, what fun! I like this interpretation a lot. Great job! I’ve hurt myself lifting a heavy box, ugh... so I’ve got some recovery time and PT in my future.